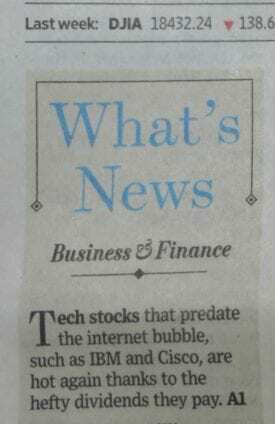 On today’s WSJ front page is an article about pre-bubble Internet stocks being hot again. 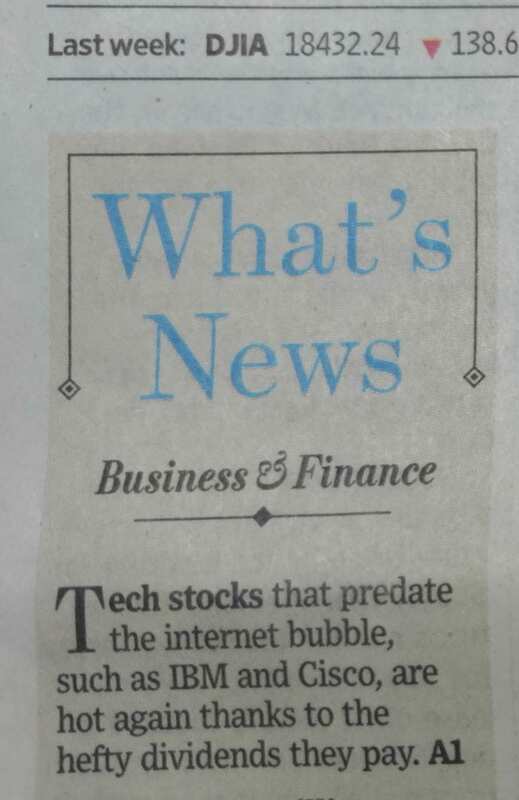 Needless to say there’s plenty of pre-bubble Internet stocks that aren’t around any more. What did catch my attention is the fact that these two companies are increasingly being paired – thus logical partners. Both IBM and Cisco see partnerships as a strategic way to expand their businesses. That seems obvious, but in previous times both companies were on solo missions. These two companies have similar visions, complementary products, and common enemies. I think there’s a lot of potential in their partnering (not so sure about the Apple-Cisco). Within the collaboration announcement is a go-to-market solution for IBM Verse (email), IBM Connections (social), and WebEx (meetings). Together these applications become more powerfule, but where does IBM Sametime fit? It’s a good question, and one I bet IBM has been asking internally for years. There’s no statement from IBM about the future of Sametime – if there were I think it would be short. With Connections, Verse, and WebEx – there’s just no need for the dinosaur. IBM Sametime (originally IBM Lotus Sametime) was created after two acquisitions: Databeam conferencing and Ubique for IM/p. Sametime was ahead of it’s time. It had potential as a UC product, collaboration solution, and conferencing solution. None of these markets were very clear back in the late 90s. Had IBM been successful with its acquisition attempt of WebEx (which went to Cisco) than perhaps Sametime could have really become something. IBM Sametime has been neglected for years. It may have a reasonable installed base, but I don’t run across it very often. IBM stopped exhibiting at UC conferences, and Sametime continues to get a smaller slice of IBM’s annual Connections conference. The last time I attended a Connections conference it was still called LotusWorld. This free TalkingPointz 2Pager on Cisco and IBM takes a look at the partnership – specifically the impact to Sametime. There’s a lot of potential synergy in this deal for IBM, Cisco, and their installed bases. If you doubt me, just ask Watson. All TalkingPointz 2Pager research notes are free.